So the musical chairs now underway on the plaza level in the Capitol come as no surprise, with the advent of a newly minted governor and two fresh Cabinet members preparing to take office in early January. 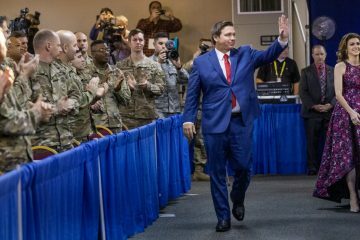 While many long-time aides have been jumping ship for months, other current and wannabe staffers are brushing up their curriculum vitae in the hopes of joining the nascent administrations of Gov.-elect Ron DeSantis, incoming Attorney General Ashley Moody or Agriculture Commissioner-to-be Nikki Fried, the only Democrat to win a statewide election this year. Perhaps those who already work for Chief Financial Officer Jimmy Patronis, who was appointed last year by Gov. Rick Scott, are breathing a sigh of relief after their boss handily held onto his Cabinet post in the Nov. 6 election. While the dance known inside the Tallahassee beltway as the “agency-head shuffle” begins, DeSantis this week tapped a face familiar to many capital insiders to serve as his consigliere, as the line encircling the Governor’s inner sanctum is drawn. Meanwhile, one of DeSantis’ first high-profile tasks came under scrutiny, after the panel responsible for choosing Supreme Court nominees didn’t include an African-American in its list of selections to fill three upcoming vacancies. It will result in the first time in more than three decades the state’s highest court won’t include a black justice. While the Governor-elect measures the drapes and the résumés flood in, folks with deep pockets are gearing up for the revelry known as the inauguration. The ceremonial swearing-in will likely be overshadowed by the pomp-and-circumstance surrounding what could be a multi-day affair, capped by balls that provide an opportunity for well-heeled insiders to show off their gems, tuxedos and furs, if Tallahassee weather holds. Which brings to mind a snippet overheard at former Gov. Jeb Bush’s inaugural festivities, which took place amid a bone-chilling North Florida cold snap in 1999. Bush took office after Republicans had been shut out of 700 North Adams Street for nearly a decade. “Isn’t it wonderful to see so many furs?” drawled one white-haired doyenne to a friend, as the women left the Bush’s outdoor inaugural ceremony. In the first of his high-profile administration hires, DeSantis kicked off the week by tapping Shane Strum, a Broward County Republican who’s worked for two other Governors, to serve as his chief of staff. Strum, who will begin in the post when DeSantis takes over as Governor on Jan. 8, currently is an executive at Hollywood-based Memorial Healthcare System. Strum also worked for former Gov. Charlie Crist, capping his tenure as chief of staff during Crist’s final two years as governor. Strum also was an adviser to Scott’s transition team following Scott’s election in 2010. Heralded by supporters as a competent and loyal strategist, Strum also brings a strength as a relationship-builder to the new governor’s inner circle. 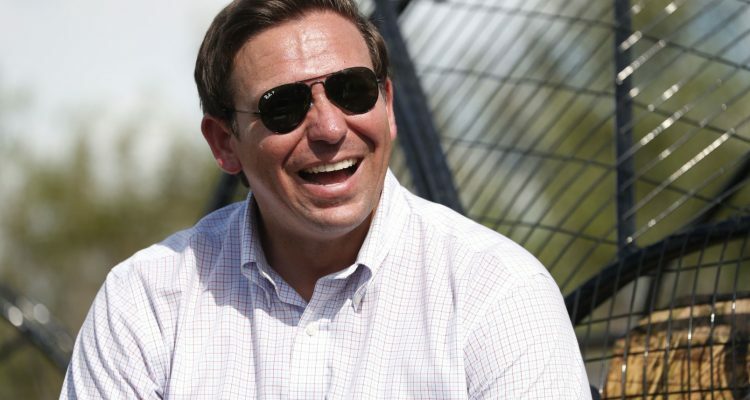 DeSantis, a former congressman, was a virtual unknown to most state lawmakers until his primary-election victory over Agriculture Commissioner Adam Putnam in August. 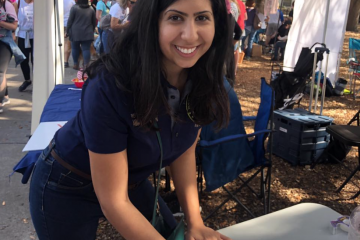 “The first chief of staff for a new governor, or a governor who is coming to Tallahassee with a fresh start or a fresh face, you need somebody who’s a steady hand. 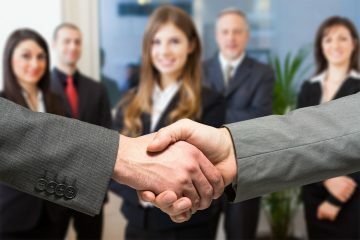 You need somebody who’s loyal, who’s going to be driving your agenda. And there’s nobody better for taking the reins of the executive office of the governor and doing it in a way that’s going to have Gov. DeSantis be positioned to succeed,” Everglades Foundation CEO Eric Eikenberg, who was Strum’s boss and preceded him as Crist’s chief of staff, told The News Service of Florida. 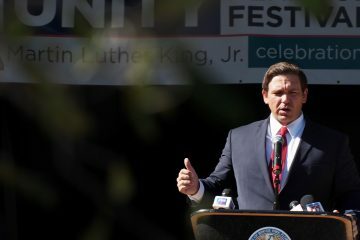 DeSantis will select the new justices from a list of 11 nominees sent to him Tuesday by the Florida Supreme Court Judicial Nominating Commission. None of the nine judges and two lawyers on the nominee list is black, although six of the original 59 applicants were African-Americans. The looming absence of a black justice on the highest court in the nation’s third-largest state, which has more than 3.5 million African-American residents, drew sharp criticism from prominent black lawyers, a former African-American justice, black state lawmakers and the NAACP. Joyner, a Democrat, put the blame on Scott, who has appointed all the members of the judicial nominating commissions that develop the appointment lists for state appellate and trial courts. She said Scott has filled the nominating commissions with members who advance judges who are “clones” of the conservative Republican Governor. McKinley Lewis, a spokesman for Scott, said the Governor must appoint judges based on the nominees offered by the judicial nominating commissions. But retired Supreme Court Justice James E.C. Perry, who was appointed by Crist and served nearly eight years on the court, said a court without a black justice “is an indication of where we are” both as a state and as a country. Florida’s highest court will not have an African-American justice for the first time in 36 years, after a panel responsible for selecting judicial nominees did not include a black nominee in a list of 11 names to succeed three retiring justices. “This does not bode well for Florida, especially with the divisiveness that exists in this country right now.” — Former Sen. Arthenia Joyner, a lawyer and veteran civil rights activist, speaking about the upcoming lack of a black justice on the Florida Supreme Court.